In this week's Abundance Insider: Cancer-detecting bras, a bionic hand breakthrough, and Germany sets a new renewable energy record. What it is: Using deep learning, biomedical researchers in the U.K. have developed a bionic hand capable of grasping objects without the wearer's focused thoughts. The researchers created an convolutional neural network (CNN), training the hand and its algorithm on the images of over 500 objects in various orientation and lighting conditions, with four programmed grasps that you might use to pick up things like a cup (wrist and palm neutral) or a fork (with a pinch). After training, subjects wearing the hand successfully picked up and moved the objects 88% of the time. This is a part of a broader effort to incorporate temperature and pressure sensors into the hand, and for information to be fed back directly to the brain. What it is: Rios Cantu, an 18-year-old student from Mexico, recently won the top prize of $20,000 at the Global Student Entrepreneur Awards (GSEA) for inventing a bra that can help detect breast cancer. The bra is made with about 200 biosensors, which map the surface of the breast to monitor changes in temperature, shape and weight. These biosensors can also determine thermal conductivity by specific zones. For example, heat can sometimes indicate more blood flow, which in turn signals blood vessels "feeding" on something (often some type of cancer). 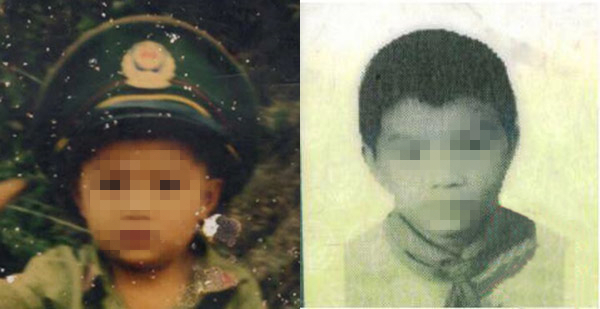 What it is: Chinese web services company Baidu successfully used its cross-age facial recognition program to reconnect 33-year old Fu Gui with his family 27 years after he was abducted. The artifical intelligence works by analyzing photos of abducted children uploaded by the victims and their birth families on baobeihuijia.com (Fu Gui registered in 2009; his family in early 2017) -- to which the AI then identifies potential matches based on the comparison of selected facial features. Baidu has roughly 200 million sample pictures that it uses to help improve the accuracy of its AI, which has the potential to be over 99% accurate. What it is: Tokamak Energy, a leading private fusion energy company, successfully generated first plasma, essentially a molten mass of gas inside its core. Dubbed the ST40, Tokamak’s reactor is projected to achieve temperatures of 100 million degrees Celsius by 2018, which is the minimum temperature needed to induce a controlled fusion reaction. This is a great first step in Tokamak’s moonshot to begin generating electricity by 2025 and commercially viable fusion power by 2030. What it is: Using CRISPR/Cas9, a team at the Lewis Katz School of Medicine at Temple University (LKSOM) and the University of Pittsburgh have excised HIV-1 DNA from living animals. Building on their prior research published last year, in which they proved that their method could remove targeted DNA fragments from most tissues, the team added two additional and animal models, "one representing acute infection in mouse cells and the other representing chronic, or latent, infection in human cells.” Here, they succeeded in removing HIV-1 in both models, not only excising the targeted DNA in the latent state but also preventing the spread of infection. The team will next look to replicate these results in primate models, which are more suitable where HIV infection induces disease. What it is: According to data provided by Agora Energiewende Initiative, Germany hit a new record level of serving 85% of its energy needs with renewables on April 30 – part of the May 1 long weekend. The country had a significant boost in wind and solar output, with biomass and hydro nearly sidelining hard coal plants. Most of Germany's coal-fired power stations weren't even operating when the country hit its new record.